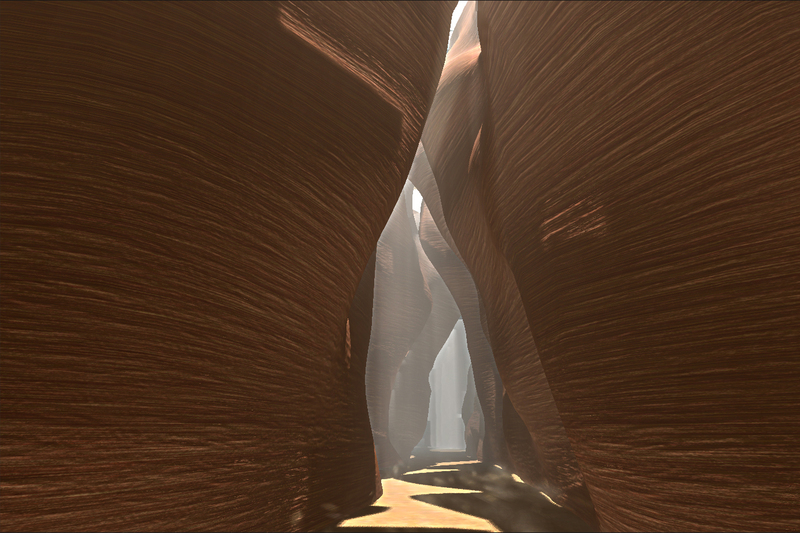 The task: to create a level inspired on the Antelope Canyon. The solution: to code a series of 3d points and generate a mesh with them. 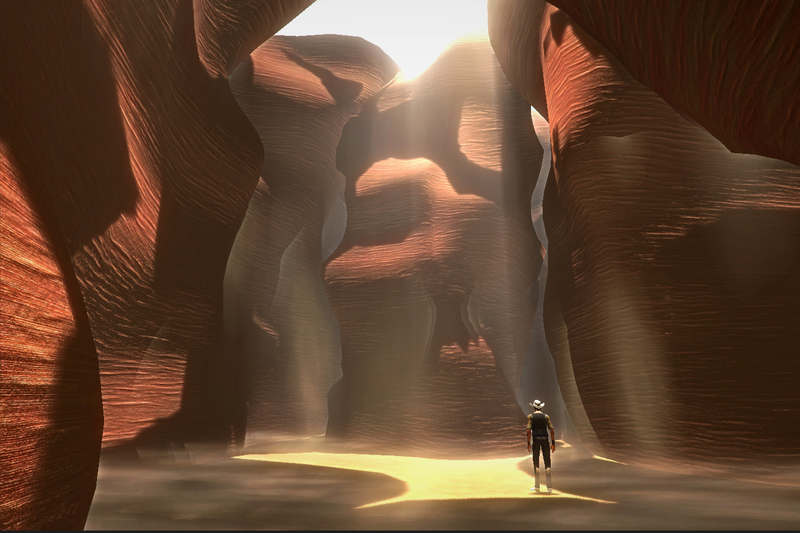 In game footage of our version of the Antelope Canyon. No Global Illumination applied, textures using Substance Designer in Unity. Recipe for a procedural Antelope Canyon. 1. Take a path, a spline will do. 2. Divide this path equally using a set of points. 3. Choose your values, height of the canyon, number of vertical steps. 4. For each point in your set define a direction, kind of upwards but with some lateral freedom. At the height of your vertical step place a new point following the direction defined. Store this point in a list per vertical step. 5. For each vertical step repeat #4. 6. Create a quad-surface with UVW map, set the vertexes using your current set of points (n)(n+1) and the next vertical step set of points(n)(n+1). Loop through all points and all vertical steps repeating this. 7. Weld and smooth your mesh.